Senate inquiries are interesting affairs. Held to guide government decisions on issues inviting evidence from interested individuals or organisations, there is no doubt that they have their place in a democratic society. But when such affairs are dripping with negativity and the agendas of the convening political party are obvious, the role and expert knowledge of special interests associations such as the SSAA are invaluable. The Inquiry into ‘The ability of Australian law enforcement authorities to eliminate gun-related violence in the community’, championed by Greens’ Senator Penny Wright, witnessed its first public hearings in October. Unfortunately for the Greens, it became clear that there is very little evidence to support the party’s widely publicised myth that illegal firearms used by criminals are sourced from licensed firearm owners. In fact, overwhelmingly positive submissions supporting the shooting sports and licensed firearm owners seemed to frustrate the anti-gun committee chair, and left the Greens to face frequently avoided facts dispelling their publicly parroted views. Despite details surrounding the hearings - including the programs for the day’s events - released at the last minute, the SSAA still had a presence, with SSAA National Chief Executive Officer Tim Bannister attending to observe and assist with ensuring our sport was defended. Senator Wright’s claims to Adelaide’s Advertiser back in September that “there is a very persistent misconception out there that most illegal guns are smuggled into the country, when in fact nearly all illegal guns are stolen”, were quickly quashed on day one. Detective Chief Superintendent Ken Finch from New South Wales Police testified that the real concern facing authorities is the illegal importation of firearms. He stated at the Sydney hearing on October 13 that while illegal self-loading handguns were the firearm of choice by organised crime, they believe the majority of these handguns are illegally imported into Australia. Superintendent Finch also said firearm crime can be pinpointed to a few suburbs in Sydney and is intricately linked with drug dealing, with departmental intelligence showing the involvement of Middle Eastern crime syndicates. Criminal organisations were further discussed by Detective Superintendent Peter De Santo from Victoria Police, who described a “huge ice drug problem” creating criminal links with drug abusers and drug dealers, and the use of single-shot pen pistols as their biggest issue. It is interesting to note that such pistols have never been owned by licensed shooters, with their existence present due to illegal imports through our shipping ports. Superintendent De Santo spoke one of the truer lines of the hearings, saying that “if a criminal wants a firearm then they will get one”. Another interesting point at the hearings was that 70 per cent of organised crime in Australia is run or controlled by people overseas. Other witnesses in Sydney included Sid Thurgar from the Arms & Militaria Collectors’ Association of NSW, Robert Courtney from the Historic Arms Collector’s Council of Australasia, and Paul Britton from the NSW Firearms Dealers Association. Brian Cheers and Rob Boutcher from the NSW Amateur Pistol Association and Peter Whelan from the Shooters Union NSW presented a view on the use of handguns in the shooting sports. Gary Bryant from the Firearm Safety & Training Council, Howard Brown from the Victims of Crime Assistance League, and research psychologist James Lemon were also called. All witnesses gave very strong evidence discounting much of the Greens’ beliefs. Representatives from agricultural groups reminded city-dwellers that the majority of licensed firearm owners are farmers who use firearms as an important daily tool. Sarah McKinnon from the National Farmers’ Federation, Chris Wilhelm from the Pastoralists’ Association of West Darling, and Peter Skillern and Melinda King from the Tasmanian Farmers & Graziers Association ensured this point was heard. 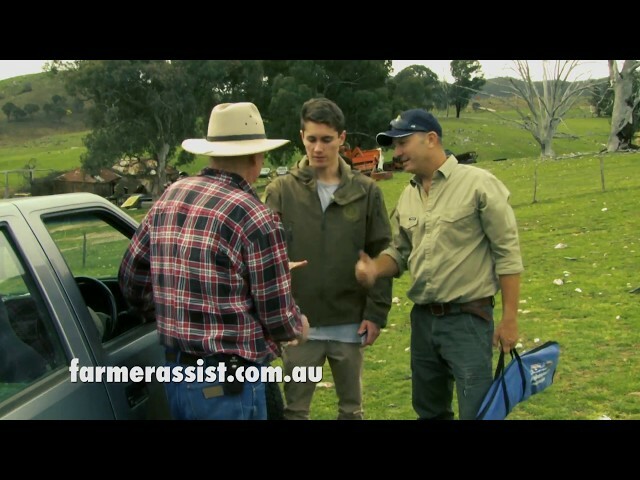 The use of firearms by farmers created a stir when the committee moved to Melbourne on October 14. Evidence presented by Gun Control Australia (GCA) spokesperson Roland Browne was always going to be full of holes, with the GCA’s submission linking licensed firearm owners with bullet-riddled road signs (using anecdotal evidence, no less) as a preview of what was to come. The Greens’ desire for alarms as a requirement for all firearm storage facilities was raised by Senator Wright, with Mr Browne agreeing and drawing the conclusion that there is no reason why rural firearm owners wouldn’t be able to adhere to this. Liberal Democrat Senator David Leyonhjelm promptly asked if Mr Browne had ever been on a rural property, given his ignorance about access to power and slower response times of authorities. Liberal Senator Linda Reynolds commented that the real issue did not seem to be further regulations to storage requirements, but increased education on existing storage requirements - an area in which the SSAA is proactive. The SSAA educates members on safe storage requirements through safety campaigns, and we have won awards for our Secure Your Gun, Secure Your Sport initiative. This did little to appease Mr Browne, who further shovelled dirt on landowners by saying no farmer should require a handgun in case they are tempted to use it for pest control, and advised farmers to use stun guns on wounded animals. The SSAA questions the effectiveness of stun guns as a humane method for disposing of wounded animals. One of the amusing moments of the hearings involved membership of the GCA. Senator Leyonhjelm asked how many members the GCA has, which Mr Browne objected to and refused to answer, despite being required under parliamentary laws to answer all questions honestly. It is interesting to note that to receive information from the GCA via its website, users must sign up to the GCA, defaulting them to membership status, regardless of their purpose for joining the email lists. The SSAA assumes Mr Browne’s audacity in refusing to answer is related to counting email addresses as GCA members, and that the real number of card-carrying members can be counted on one’s two hands. The committee decided to ignore Mr Browne’s ill repute, and heard him insult another group in society, this time our athletes. He proclaimed that a ban on self-loading handguns apart from single-shot handguns is necessary, with the latter requiring close vetting. He went on to say that individuals can shoot most events at the Commonwealth and Olympic Games using single-shot handguns, before admitting he couldn’t name any particular events, eventually conceding that Australia should not shoot at competitions. National’s Senator Bridget McKenzie rightly observed that the GCA’s submission was “strong on rhetoric but short on substance”, which prompted Mr Browne to accuse the Senator of frequently misusing evidence about legally held firearms. Senator McKenzie informed Mr Browne that the National Party sources its evidence from NSW Police data and questioned the source of his numbers, which he again glossed over and avoided answering. Towards the end of the spectacle, Senator Wright attempted to coerce Mr Browne into making particular comments suited to her agenda, which drew criticism from the majority of committee members. Another spectacle - media spectacle, this time - came in the form of three-dimensional (3D) printing and its use in manufacturing firearms. Despite an extremely low risk recorded by the Australian Crime Commission, the media seemed infatuated by this apparent emerging phenomenon. Up stepped Angela Daly, a postdoctoral research fellow at Swinburne University, who urged against ‘moral panic’ due to no evidence indicating that people are making firearms using this method, or subsequently misusing them. Ms Daly said 3D technology makes very poor firearms, which generally break on first use. This did nothing to sway the media, with headlines blaring ‘Senate inquiry hears calls for crackdown on 3D printed guns’ that very day. Given that such technology is practically non-existent in Australia, the SSAA investigated the issue of importing plastic firearms and those made using this technology, finding scanning and X-ray machines at airports do in fact identify polymer items. The fact remains that illegal firearms remain illegal, plastic, metallic or otherwise. Also appearing at the Melbourne hearings were firearm manufacturers Beretta Australia and Winchester Australia, with Beretta Australia managing director Luca Scribani Rossi providing a personal account. He attributed firearm ownership to keeping him on the right track and helping him become more mature than his teenage peers, with a firearms licence teaching responsibility and creating a strong bond between him and his father. He was pleased to say he has passed on the enjoyment of the shooting sports to his children. Mr Scribani Rossi echoed the views of police, saying that firearm misuse was an illegal drug trade issue, and asking that authorities be given the resources to crack down on the drug trade. He is also the president of the National Firearm Dealers Association and spoke at the hearings on their behalf. 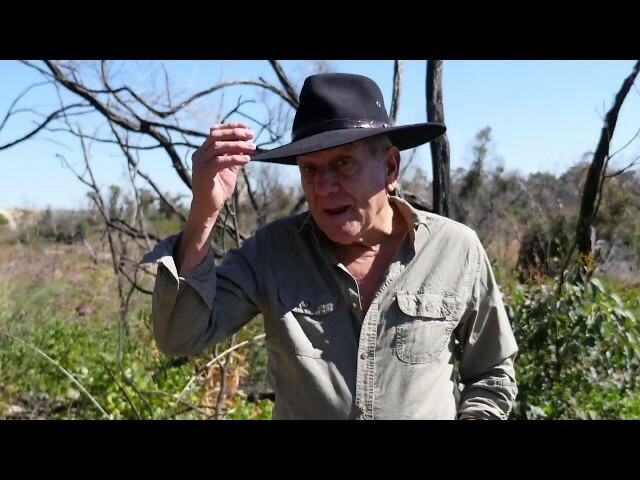 Australian Deer Association’s Barry Howlett and Field & Game Australia’s Bill Paterson gave strong and positive evidence. They outlined the benefits that hunting and the shooting sports bring to the community both economically and socially, with $440 million raised for the Victorian economy per annum alone. Hunters through The University of Queensland studies have contributed close to $1 billion to the economy - figures the SSAA has publicised to remind opposition groups of the contributions made by our sport. Another academic, Terry Goldsworthy from Bond University, appeared and pointed out that the use of firearms in homicides have remained low and steady for many years. He also noted that firearm theft remains an increasingly rare event, with only 6 per cent of firearms stolen being handguns, and only half of these being self-loading handguns. Senator Wright’s frustrations with the positive evidence and reiteration that current laws are restrictive enough heard her exclaim that she didn’t understand why the pro-shooting people had put in submissions when the Inquiry is not really to do with them. Technical firearms advisor Bob Schwarz, who assisted the Firearm Traders Association of Victoria with its submission, explained that mentioning legal firearm owners in the Inquiry’s Term of Reference and adding an ‘all other matters’ clause dragged licensed shooters into the debate. Senator McKenzie countered that perhaps licensed shooters are getting sick of being punished for illegal firearms misuse. Senator Wright also claimed that more legal firearms is linked to more violence. Senator Leyonhjelm and Senator McKenzie refuted this due to the huge number of firearms in Australia, but very low misuse rate. Mr Schwarz advised the Inquiry to focus on all violence, not simply gun-related violence, with the latter contributing a mere 3 per cent to all violent crimes. He questioned why the committee was not examining drug crime or street thuggery as well. Senator Wright again raised the old chestnut of banning handguns and instigating another government-led handgun buyback, to which Mr Schwarz rightly reminded her that the government had spent more than $100 million in buying back legally owned firearms that did not remove one illegal firearm from criminal hands. Former federal parliamentary speaker and shooting sports supporter David Hawker repeated the point that firearms laws are already strict and indicated no further restrictions were necessary. Such positive submissions and evidence was duly noted by the SSAA, with Tim Bannister praising the efforts of those who put forward evidence-based submissions. The SSAA is preparing to give evidence from our submission at the final public hearing in Canberra on October 31.